That said, it is also clear that the government is imposing excessive burdens on Homelanders. The U.S. economy is in the dumps. This was largely caused by bad mortgages. By “bad mortgages” I mean mortgages that were the offered by banks who had reason to believe that the borrowers could not pay the money back. But, why would the banks care? 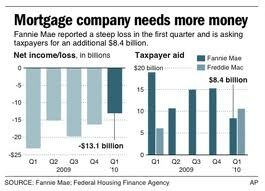 After all many of the mortgages were guaranteed by the U.S. government. This entry was posted in Government regulation and tagged Dodd-Frank, Vendor take back mortgage on October 10, 2012 by renounceuscitizenship. #Americans abroad who became citizens of another country prior to 1986 read this .. Thank you for your well reasoned and articulate comment on this issue. This entry was posted in Renunciation and tagged expatriation, expatriation law on October 7, 2012 by renounceuscitizenship. Living as a U.S. citizen outside the “Homeland” is at best difficult and at worst impossible. “The difficult we do today. The impossible takes a bit longer”. Many will see the difficulties as being too great, too time consuming and too expensive and will renounce their U.S. citizenship. At the very least, you should fully understands the opportunities, liabilities and disabilities of U.S. citizenship. Retirement planning in Canada is based on the principle of tax deferral. That is what an RRSP or TFSA is – a tax deferred investment plan. You will NOT (at least in the short term) pay tax on income earned inside one of these investment vehicles. The U.S. tax system is designed to attack “tax deferral” (examples PFICS and Subpart F income) and will severely (and if you want to see how bad this is see this post about PFICs) punish you if you invest in these things. – your principal residence is NOT a tax free capital gain. Now, back to the main point of this post.